Donald Trump – The 45th President of the United States of America. Donald Trump has become the 45th president of the United States. He defeated Hillary Clinton in a sometimes bitter election campaign. Donald took to office in the White House January 2017 when Barack Obama finished his two terms as President. Donald Trump is a republican. Donald was born June 14th 1946 in New York City. Donald’s father Fred had a very successful real estate and construction firm. Donald took control of his father’s firm back in 1971. He has never looked back and has grown his empire “The Trump Organization” which has led Donald to be listed in the top 400 wealthiest people in the world. Donald Trump has hotels and golf resorts around the world in places like Ireland, Scotland, Dubai and many places in the United States. Where was Donal Trump Educated? In August 1964 Donald attended Fordham University. After two years he transferred to Wharton School of the University of Pennsylvania. You may have heard of the reality TV show “The Apprentice”, Donald Trump heads this show in the US and it’s very popular. He also starred in many movies including Home Alone 2: Lost in New York and Zoolander. Donald Trump has his own star on the Hollywood walk of fame. Question 1: How old is Donald Trump? Question 2:How many children does Donald Trump have? Declan, Tobin. " Donald Trump Facts for Kids ." Easy Science for Kids, Apr 2019. Web. 20 Apr 2019. 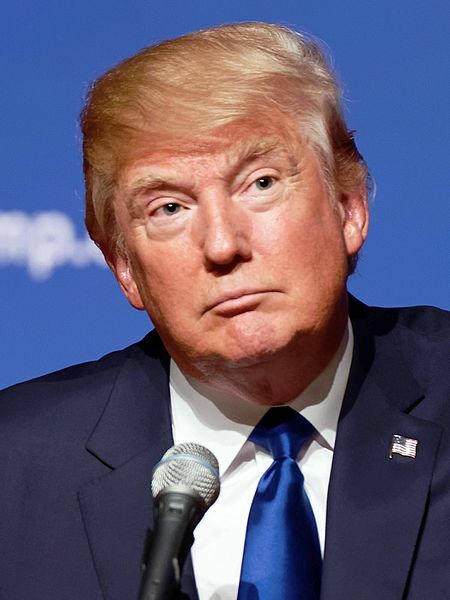 < https://easyscienceforkids.com/donald-trump-the-next-president-of-the-united-states-of-america/ >.